Well gang, a month ago I released a new song and somehow neglected to mention it on my main blog. Time to rectify that situation yes? 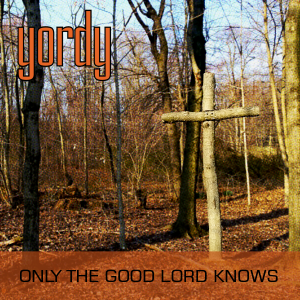 On April 7th I released a single titled Only The Good Lord Knows. This song is an expression of the questions that surround the loss of a loved one and searching for answers that may be hard to come by. You can find all of the relevant purchase and streaming links over at my newly revamped music website: Yordymusic.com. Please take a moment to listen and if you like it share it with a friend. This song wasn’t planned. It wasn’t part of my release strategy for this year. It just needed to happen. Sometimes you just need to work out your feelings in songs. Stay tuned for more new music to come. The second half of 2017 should see the release of a punk project I’ve been working on for awhile and if I am able, more Yordy music and a sophomore release from my Americana project Dropkick Possum.